Chennai Spartans Volleyball Team Celebration event held at chennai. Rupay Pro Volleyball Ball League orchestrated by Baseline Ventures in strategic alliance with Volleyball Federation of India & Sony indeed created a great branding for Volleyball as a sport besides fuelling the aspirations of Volley Lovers. With active participation from six franchisee team owners The six in the first edition Ahmedabad Defenders owned by Bonhomie Sports Event Mgmt. 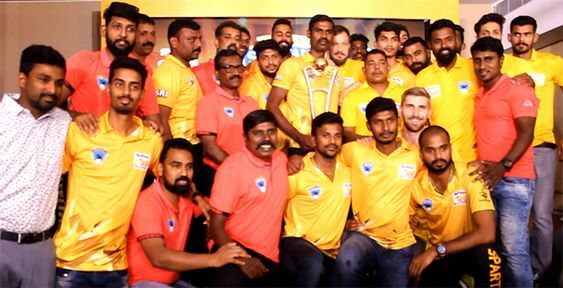 Ltd., the Calicut Heroes owned by Beacon Sports, the Chennai Spartans owned by Chennai Spartans Sports Pvt. Ltd., U Mumba Volley owned by U Sports, the Black Hawks Hyderabad owned by Agile Entertainment Pvt. Ltd. and the Kochi Blue Spikers.